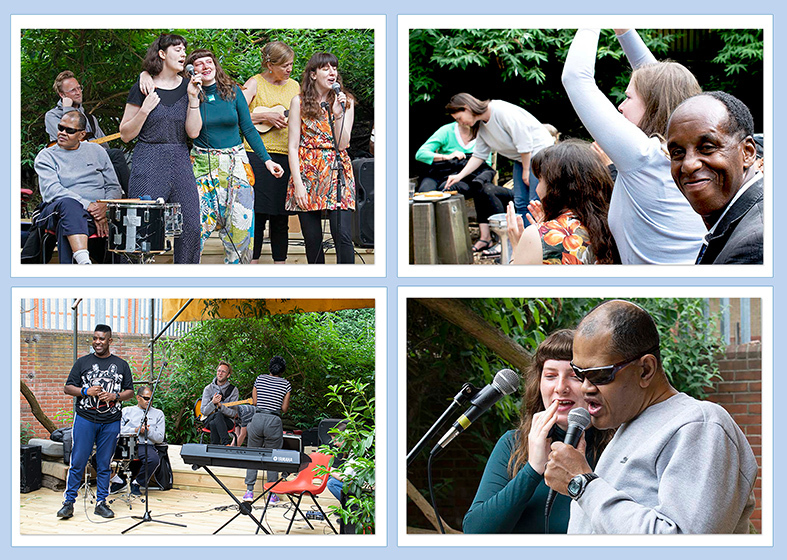 The sun came out in Dalston Eastern Curve Garden earlier this week, when customers and staff from our Community Aspirations Team held a concert in the space. An invited audience of staff and customers from Advance were joined by families and individuals visiting the garden, who sang along and joined in with the shared experience. Our customers took turns on stage, singing, dancing or playing instruments. As it was her final day at work before heading off to study Art Therapy in Derby, Support Worker Daisy was presented with a card, cake and flowers. She was treated to a rousing rendition of 'Daisy Daisy' by customers before being invited on stage to sing herself. Area Manager, Ade Oyiniyi said "This event demonstrates the strong links we have with organisations in the borough like the Curve Garden. It is a fantastic example the ways in which our customers are included and involved at the heart of the local community."